My name is Menakah D/O Thiagaras. I am currently studying as a Psychology Major in Year 2. One of my favourite topics in Conservation Psychology is animal or wildlife conservation. Especially conservation efforts which are more focused on predators or the majestic big cats of wildlife. Hence, when I first saw one of the documentaries of Kevin Richardson as The Lion Whisperer, I immediately has a fascination with his work. It was remarkable seeing the way the predators acted around him which is the total opposite of what we usually imagine or see. This blog is a biography on him and his conservationist efforts in protecting and preserving the wildlife in Africa, although most of the focus will be on the big cats. So after reading this blog, I hope that all of you will also support the cause of protecting the wild predators. 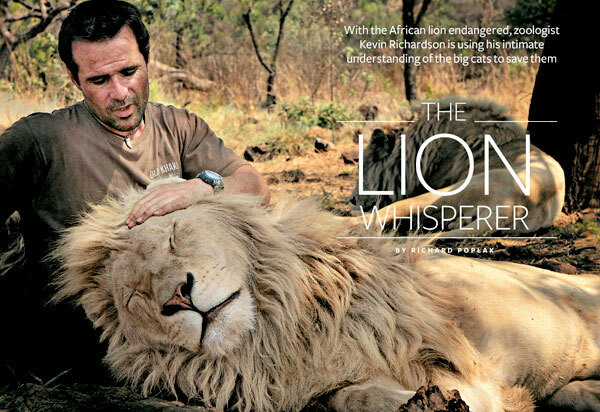 The Lion Whisperer with one of his lions. Image source.